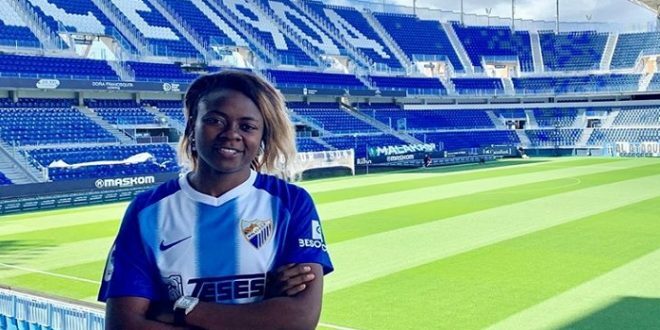 BBC | Cameroon international Gaelle Enganamouit has left Malaga by mutual consent, just two months after signing for the Spanish outfit. The former African Women’s Player of the Year joined struggling Malaga in January from Norwegian outfit Avaldsnes IL on a one-year deal. She is currently in China with the national team competing in a four-nation tournament as they prepare for June’s Women’s World Cup in France. Malaga are currently bottom of 16-team Spanish Women’s La Liga, with 20 points from 26 games. leo. venenatis, mi, ut libero Curabitur elit. neque.